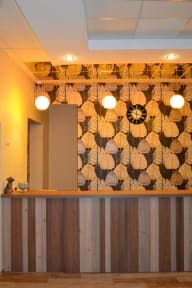 Modern and comfortable hostel of hotel type Vanilla offers comfortable accommodation. Our hostel has 8 rooms (2-seater, 3-seater, 4-seater, 8-seater), for the comfort and convenience of guests there is both female and male rooms. Each room is presented in a modern and classical style, equipped with comfortable beds, orthopedic mattresses, individual lockers for each guest with snaps, and keys, each bed has an individual reading light and power socket. The kitchen is equipped with all necessary: kitchen set, stove, refrigerator, NE-oven, kettle, cookware, dining area. The hostel offers free Wi-Fi. Hostel Vanilla is located in the heart of the left Bank of Novosibirsk, a 2-minute walk from the metro station Ploschad Marksa. Close to us a large number of entertainment venues - cinemas, bars, cafes, shopping centers and business centers. The closest airport is Tolmachevo airport, 14 km from the hostel. 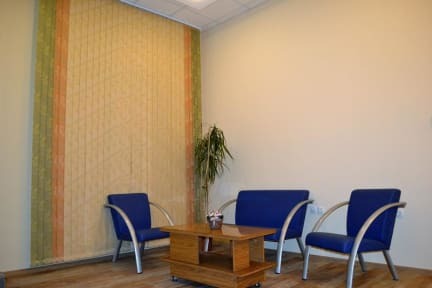 Bed linen and towels, free Wi-Fi Internet access, lockers, self-catering kitchen with all amenities, tea/sugar/sweets, television, ironing facilities, separate showers and toilets, hairdryer, books, magazines, board games, registration in the migration service, free secure parking. Surcharge: a tasty breakfast.